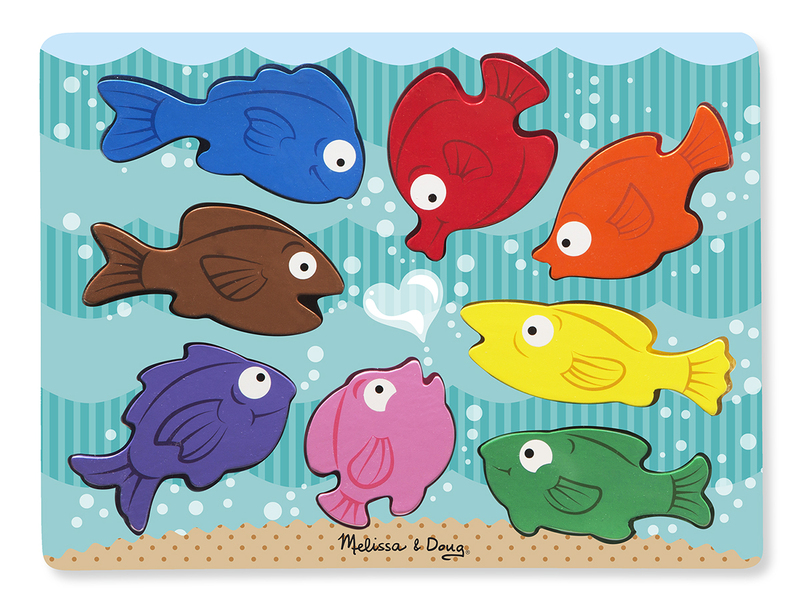 If you haven’t heard of Melissa and Doug, then you are really missing out. 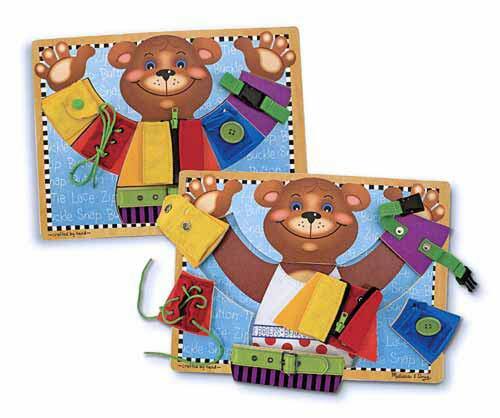 I have never been disappointed with a toy from Melissa and Doug. They make high quality toys that my toddler loves to play with. I love the fact that these toys can take a beating and still be in great condition because they will definitely be passed to the next one. The puzzle is marked for 3 and older, and I would agree with that. She had some trouble doing all of the skills at two years old, but she still loved it. Many times we did it together, over and over, and she loved that. 2. 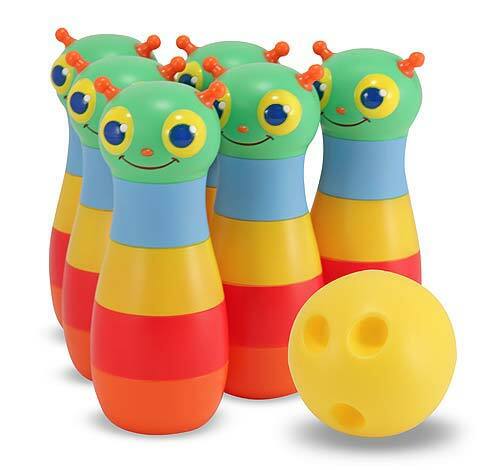 Melissa & Doug – Happy Giddy Bowling Set – She received this bowling set for her second birthday. She loves it. It has also really held up. She actually got another set at the same time that has not held up at all. All the pins have gotten squished or messed up, but the Melissa and Doug set still looks brand new. She loves this as well. She was about 2.5 years old at the time. Again, it recommends 3 and over, but she was actually pretty good with most of the latches at 2.5. You know your child the best, so go with your instinct. She still plays with it, and it’s in great shape. It’s made so well. 4. 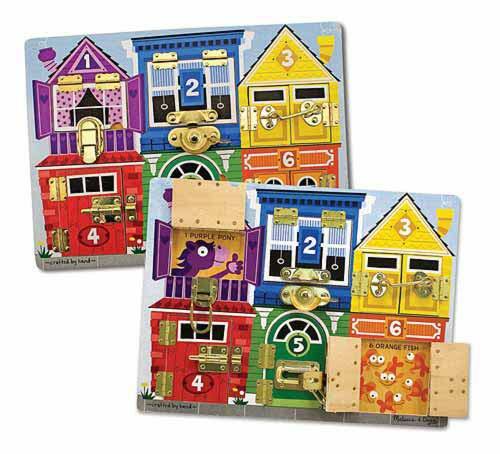 Melissa & Doug – Animals Mini-Puzzle-Pack – For her second birthday, we didn’t have a ton of small children coming, so I bought this set and gave each child a puzzle as a party favor. They were a huge hit. 5. 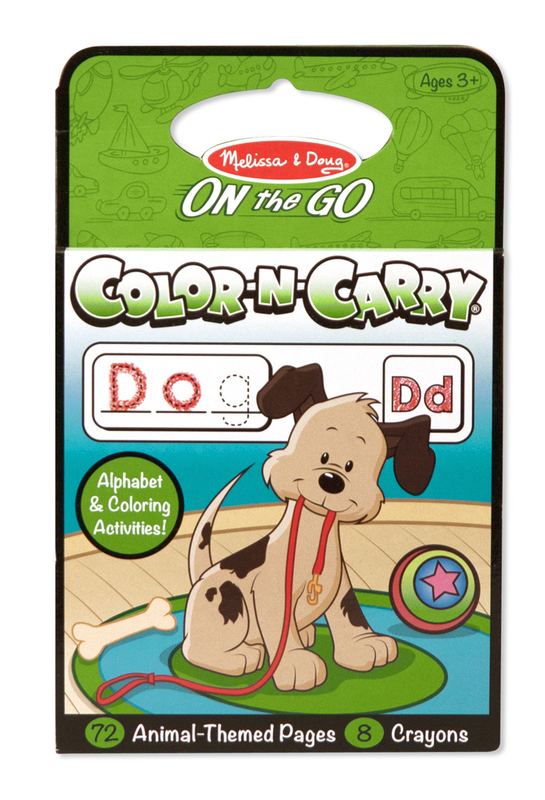 Melissa & Doug – Color-N-Carry: Animals – ON the GO Travel Activity – I’ve written about these before, but I really can’t recommend these any higher, especially for traveling. They really aren’t very messy, if your child is over two years old. She still plays with these all the time. If she hadn’t totally submerged them in water one day, they would have lasted a lot longer. 6. 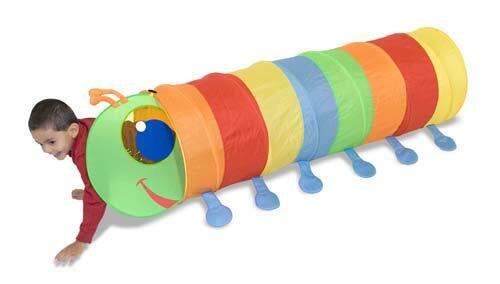 Melissa & Doug – Happy Giddy Tunnel – Here’s another one that’s made tough. My 6’1”, 220 pound husband gets in this thing and walks around. Our daughter thinks it’s hilarious, and the tunnel has never ripped. She’s played rough with it for about 2 years now, and it’s still going strong. 7. Chunky Puzzle – My mother gave her this puzzle (but in the form of a Christmas tree) for Christmas. She loves it so much that I’m not allowed to put it away. She plays with it all year long. 8. 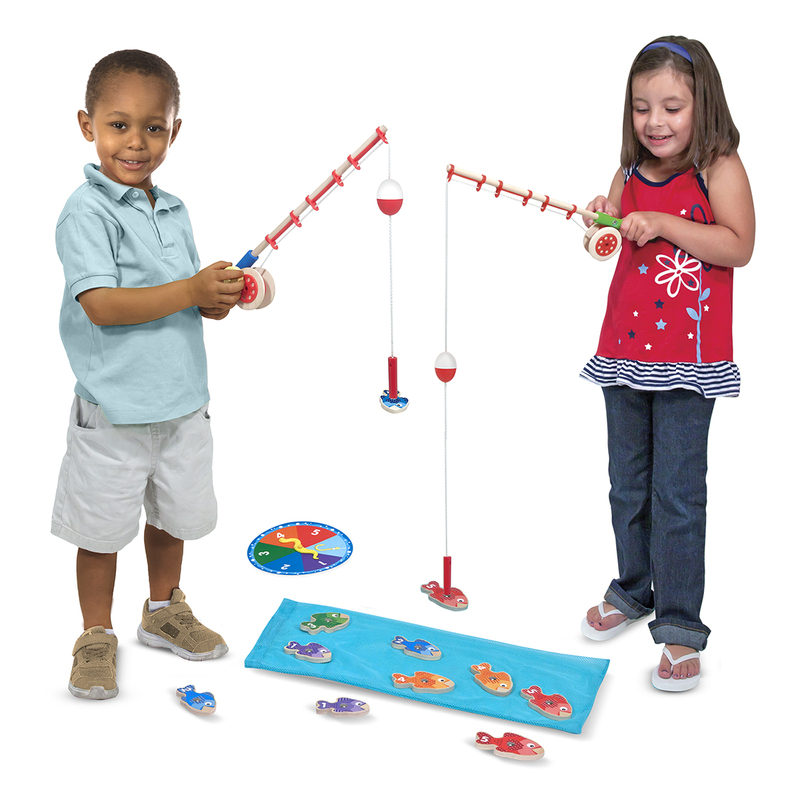 Melissa & Doug – Catch & Count Magnetic Fishing Rod Set – My daughter really loves pretend fishing… so much so that she creates fishing poles out of things that aren’t. For example, she will hold a towel over the couch and pretend that she’s fishing. So I decided to get her this fishing game. She LOVES it. We have played it so many different ways. There are several versions of the rules on the box, but we didn’t even really need to read them. She jumped right in and started making up different games with the colors and numbers. It’s a lot of fun, and now she has actual toy fishing poles to use instead of my towels and blankets. 9. 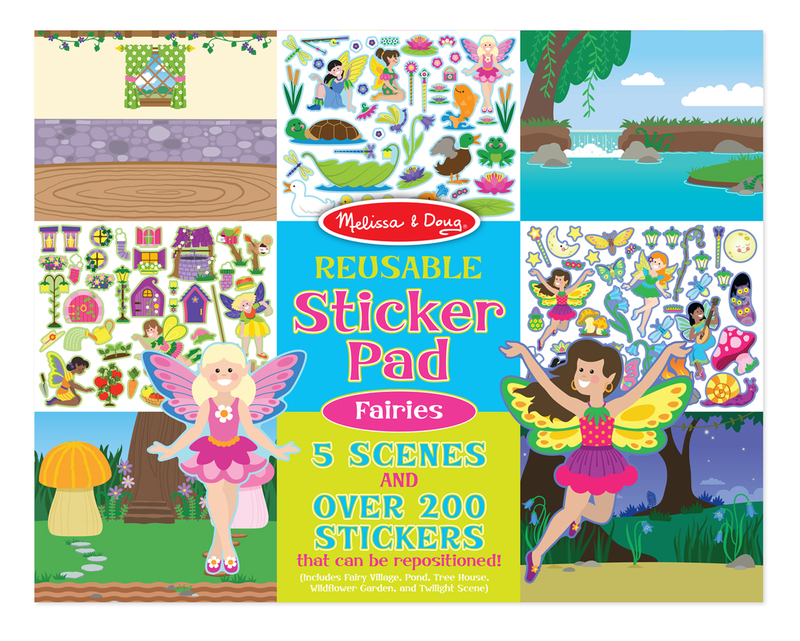 Melissa & Doug – Reusable Sticker Pad – Fairies – Any of the reusable sticker pads are great. They really hold up well. We have lost quite a few of the reusable stickers over the years, but we still make new scenes with them. And now she tells stories with the pictures that she makes. It’s such a great creative outlet. 10. 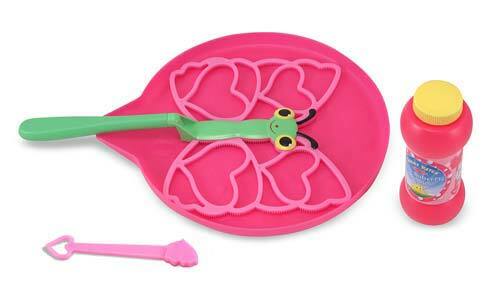 Melissa & Doug – Bella Butterfly Bubble Set – Fun with bubbles! Best bubble blower ever. She dips it, blows into it, and it works. It’s just that simple. She always blew too hard with a regular bubble blower, but with this it works every time. She has so much fun, and that makes me happy. Thanks for all the fun, Melissa and Doug! That’s an inngoieus way of thinking about it.